Visit Emily Bay and Point Ross for some beach relaxation. Museum-lovers will get to explore Bounty Folk Museum and Norfolk Island Museum. Spend the 25th (Mon) exploring nature at Norfolk Island National Park & Botanic Garden. And it doesn't end there: explore the activities along Anson Bay, explore the ancient world of The Salthouse, steep yourself in history at The Crankmill, and play a few rounds at Norfolk Island Golf Course. 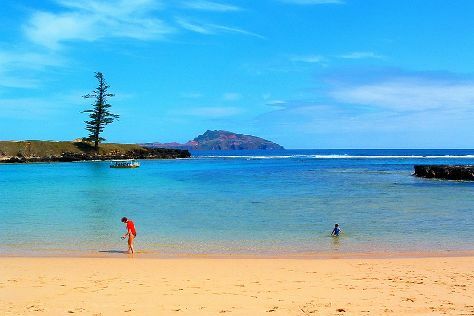 To see other places to visit, reviews, where to stay, and more tourist information, read our Norfolk Island trip maker website . November in Norfolk Island sees daily highs of 70°F and lows of 61°F at night. You will leave for home on the 19th (Sun).